I’m sure we’ve all been to those fast food restaurants where we were served that crunchy chicken or fries and it tasted just so divine, but using our frying pans at home doesn’t give us same results even if we followed the steps and recipes online. Well I’m sure you haven’t tried using a deep fryer to make your chicken. If you’d like to have at feel of that restaurant chips or chicken without actually going to a restaurant, then pick a deep fryer today and end the hassle. Below are three of the best deep fryers for homes and family meals, check them out. When it comes to deep fryers for family meals, the T-fal F8000 is is a great choice, it has an automatic filtration system and also a permanent odor filter that helps keep odors in check. 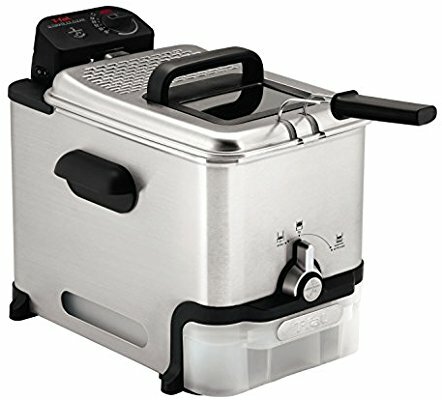 It has an easy to use adjustable thermostat for deep frying different food types, it has a food capacity of 2.65 pounds and an oil capacity of 3.5 litres which is good for serving different family sizes. It also has dish washable parts which makes for easy cleaning. The Cuisinart Deep Fryer is a good appliance for a big family with an oil capacity of 2.8 liters and a food capacity of 2.3 pounds. 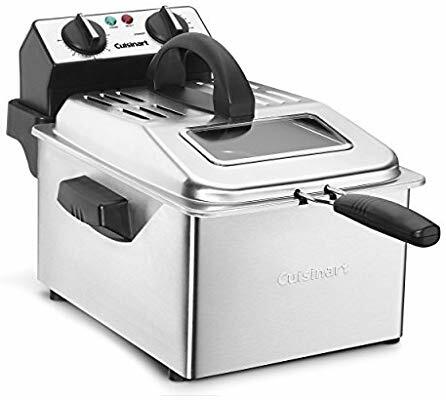 It has a nice heating system that heats up really fast and holds heat after the cold food is added, it has a green light that tells you the fryer is on and a red light that tells you that the fryer is hot and ready. 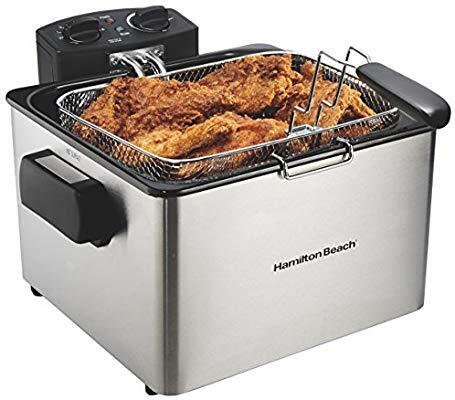 The Hamilton Deep Fryer is another deep fryer that’s good for a large family with its three baskets, One large and two small baskets that can hold 6 cups of food each, makes for lots of people easy. With its two baskets you can easily deep fry two different foods at the same time. It heats up quickly and retains the heat pretty well, it has adjustable thermostat with a timer with an audible tone. It has a see through lid on top and is easy to assemble and clean. You can follow us to get more exciting and promising products. In case you've used any of these or there's a product you would like us to review, let us know in the comment section below.